ASEF culture360 contributor Naima MORELLI interviews Ilaria BENINI, curator of the Asia series of ADD Editore, an independent Italian publisher based in Turin and promoting cultural dialogue between Italy and Asia. ADD Editore is an independent Italian publisher based in Turin, promoting cross-cultural dialogue through literature. 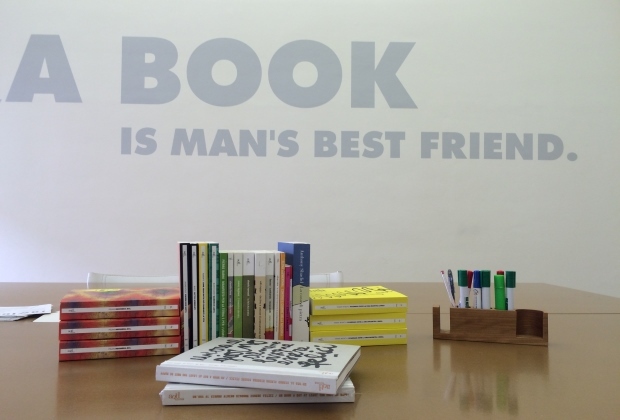 It is associated to the bookshop Bodoni and Spazio B, a space for art and culture started in 2015. The publishing house has just launched a new series focusing on Asia. The aim is to create interest in Italy around the Asian contemporary cultural landscape in a positive and constructive perspective. The curator of the Asia series is Ilaria BENINI, co-founder of Flux Kit | Connecting Cultures, an independent not for profit organisation based in Yangon, Myanmar, designed to create intercultural encounters through art. Ilaria, can you tell us about ADD Editore’s series “Asia”? “Asia” offers stories and essays from Asia to an Italian audience. Our books are an approach to this region that is experiencing an overwhelming and fast transformation. Greater freedom of expression and the recent opening of countries such as Myanmar is triggering opportunities for sharing and discovery. We want to attract to Italy that same positive air you breathe in these unfamiliar countries. We try to inspire mutual understanding by providing books which tell stories about individual and collective strategies in different Asian contexts. In what way does ADD Editore want to contribute to the discussion about Asian contemporary culture in Italy? Our goal is to contribute voices to the discussion. We are doing it by publishing books and organising events around them. For example, we are organising an Italian tour for Burmese historian THANT Myint-U, author of Myanmar. Where China Meets India. Burma At The Crossroads of Asia. We are really excited. In April 2016 the author will travel to Turin, Venice, Milan and Rome, and he will have public conversations around urgent topics with some of the major experts on Asia in Italy. By meeting the individuals igniting the change, I hope Italian readers will feel Asia closer and more real. Do you feel that Italian readers are generally intimidated to approach a continent as complex and fast-changing as Asia? What I perceive is a lack of curiosity due to a huge amount of prejudice against an area of the world which is considered to be less culturally developed. I have heard every kind of misconceptions about Chinese literature and Southeast Asian culture; the first is considered less relevant than the European one and the other is simply seen as exotic. The series “Asia” launched with the translation of “Indonesia Etc.” by Elizabeth PISANI. Why did you decide to start from this particular book? Indonesia and Myanmar are my great loves in Southeast Asia and it was just natural for me to start from these two countries. I bought Indonesia Etc. in the Lontar Foundation edition in Jakarta, together with lots of other titles by Indonesian authors. I was skeptical about publishing a foreign author but when I read the book I laughed and cried so much that I realised it was the right choice to start with. It is an engaging real story and it is a very informative book. Elizabeth is the kind of traveller everybody wants to be: she knows the history, she knows the language, she is extremely curious, she loves spending time with people, she is subtle and careful. Through her experience we get to know so much about Indonesia. You mentioned your latest publication “Myanmar. Dove la Cina incontra l’India” (Myanmar. Where China Meets India) by THANT Myint-U. You are familiar with Myanmar, having lived there for quite some time. What drew you to THANT Myint-U’s book? Myanmar. Dove la Cina incontra l’India is a great introduction to the complexities of Myanmar’s history and it is also a travel book. These are the two elements which made me realise this was the right book to start with. There’s an increasing interest around Myanmar and many people are eager to know more about the country. This book is an incredible resource. The author grew up in the West and had a Western education, so he knows how to speak to European readers. What is next for the “Asia” series? Our next publication will be “Twilight Over Burma. My life as a Shan princess” by Inge SARGENT. It is the incredible story of a young Austrian woman who falls in love with a Shan prince. After the coup d’état her husband disappears as many other politicians in Myanmar. It’s a story about a woman’s determination and bravery in a new country and also the account of a ruthless military regime. In a time where the publishing world is in crisis, what does literature offer for connecting cultures, compared to other fast-consuming media? I don’t see literature and books as static media, but rather as dynamic connectors of cultures. The real issue with publishing in Italy is how to reach your readership. Many books remain undiscovered because they’re treated as a “slow” media. Nobody today has the time to read books at night or during weekends. You need to offer good reasons to people to pick up your books. What I really love in every cultural form is the potential to create connections. This is the reason why for Inge SARGENT’s book I decided to commission Elisa TALENTINO - a talented illustrator - to create a book inside the book with her rich and delicate drawings. I thought that enriching the book with the art could help delivering the message in a powerful way. 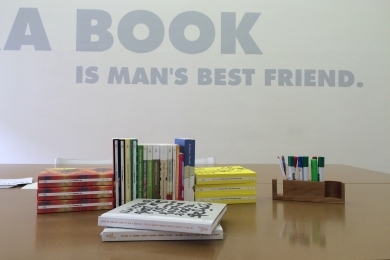 Creating interdisciplinary connections is also what you are doing with the bookshop Bodoni and the cultural space Spazio B in the city centre of Turin. Can you tell us about the different levels you operate on? Most of the events I curate or manage favour encounters among people with different backgrounds and interests. Sometimes it is difficult to explain our attitude to those asking the purpose of our space. One thing fore sure: I don't like boring book presentations with only five people in the audience, so we put a lot of creative effort in finding the right connections. We want to create meaning.